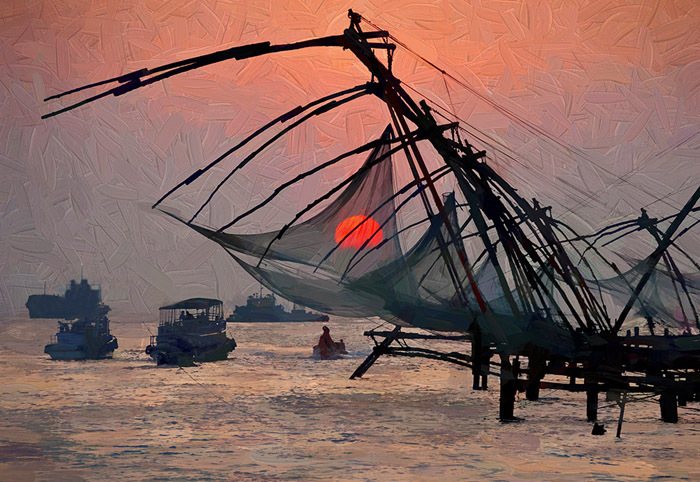 Caption: Cantilevered Chinese fishing nets at sunset at Cochin (Kochi) on Malabar coast of Arabian Sea in Kerala, India. Comments: This is a PHOTO PAINTING rendition of an original photograph. Dennis Cox has photographed in over one hundred countries on all seven continents and traveled in all fifty U.S. states.